A new investigation of one of the great shames of American medical care raises big questions about why labor and delivery is more dangerous to new mothers in the U.S. than just about anywhere else in the civilized world. To their considerable credit, National Public Radio and Pro Publica, a Pulitzer Prize-winning investigative news site, have joined forces to examine why 700 to 900 American women die each year from pregnancy related causes, and 65,000 nearly die. The news organizations say Americans are “three times more likely to die in childbirth than women in Canada, and six times more likely than Scandinavian women.” And while U.S. maternal deaths are rising, their numbers were plunging in developed countries from England to South Korea. Funding is scarce for efforts to reduce maternal mortality, as are training programs in this field. Medical experts are slow to adopt changes that might benefit mothers and their children, especially if these are pushed by nurses, most female. NPR and Pro Publica put a human face on the tragedy of maternal mortality by detailing the cascade of woes that led to the death of a young mom in delivery. She happened to be a beloved NICU nurse in the care of a respected obstetrics colleague. Her husband was a doctor, and he watched, helpless, as she died of preeclampsia. The pregnancy-related high blood pressure condition, along with bleeding and infections, are the leading killers of American women in delivery or in the statistical measuring period for maternal mortality, which includes the year after they give birth. 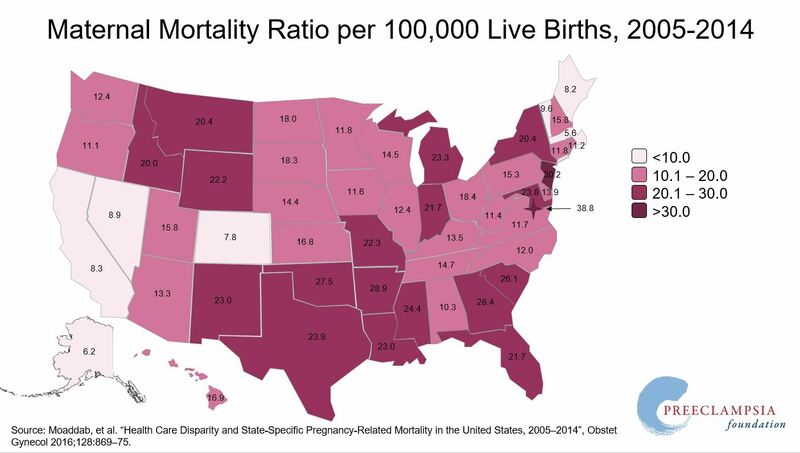 It’s staggering that American medicine keeps shuffling along while women die in childbirth—and the maternal mortality rates, which are even higher among African Americans, are unacceptable. In my practice, I see the tragedies that result from negligent care for moms and babies. Americans already pay some of the world’s highest, and sharply varying, costs for our 4 million or so annual births: $50 billion. It’s not right that, at the same time, our wives, sisters, aunts, cousins, friends, and colleagues die in birth, depending on factors such as locale, at rates comparable to the developing world. The fixes are within grasp — many don’t require expensive technology or medications. They do demand action and commitment. We also need to support women’s lifesaving and changing medical care, meaning we cannot strip funding for maternal services in health insurance (as Trumpcare would more readily allow) and we can’t let those with extreme views about women’s reproductive health (as has occurred in Texas) get excessive policy sway.